Have Ты seen any Jrock bands in concert? Blue Blaze или Blue Flame? Noir Du Soleil или Rose Nior? What are your вверх 5 Jrock bands? Which Jrocker are you? I made a Тест i'd like Ты all to try. I did one of these for both Symphonic Metal and K-pop and wanted to Список of my вверх 100 Jrock songs as well. There were so many great ones that the honorable mentions Список is also pretty big. I tried not to do too many songs from the same band so a lot of songs I like aren't even on here. An exclusive Предварительный просмотр of the new song from Japanese rockers X JAPAN, entitled "I.V." is available on the Jrock Revolution web site. "Saw IV" comes from the same team that produced "Catacombs", which featured the song "Blue Butterfly", written and produced by X Япония founder Yoshiki. 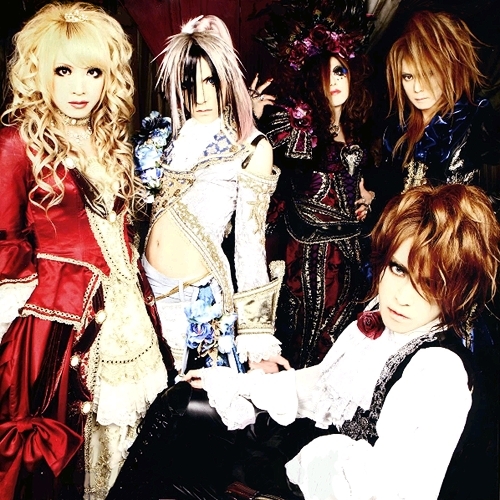 Versailles, Are they boys или girls? Are Ты sure they're not trannies!